Howdy! I am in Nashville, Tenn. for Stampin' Up!s Leadership conference. I signed up for a card swap with some lovely ladies from SUDSOL. Now, I'm not a member (of SUDSOL) but I do hang out with some of the members. When I orginally signed-up, I thought, oh, 20-30 cards, no big deal. Well, it was a tad more than that. 51! The guidelines were simple; card front, use current/new products, and must be demonstrate-able. So, here is what I finally came up with. 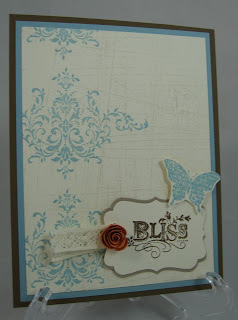 I used one background stamp and one stamp set. I did use 3 different punches. I used a little scrap piece of ribbon, so I didn't have to buy 20 feet of any one ribbon. But, I think I did a wonderful job on my little card. Now, I just hope the other swappers think the same thing, too! Let me know what you think. 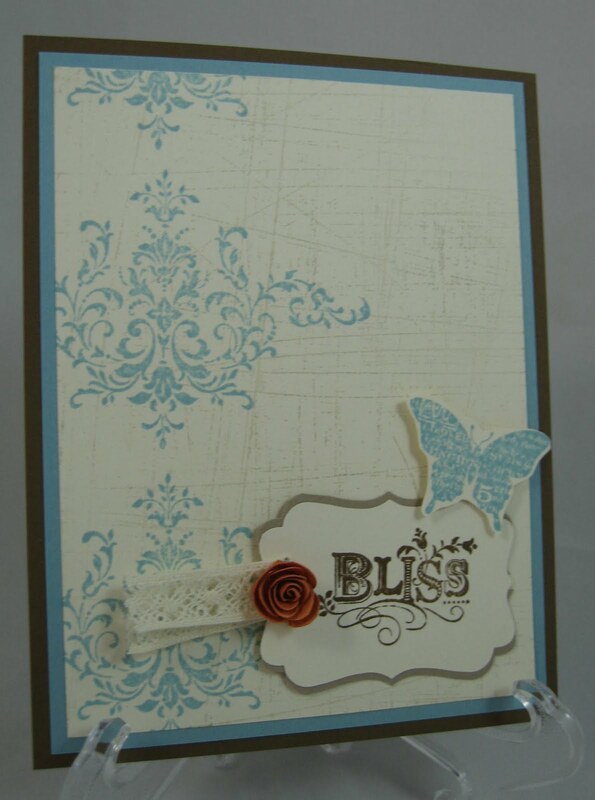 And, if you want to book a workshop to share your stamping fun with your friends, we can make this card!